Michał Dworczyk, PiS Member of Parliament, has been elected as a new chairman of the Contacts with Poles Abroad Committee. “All Poles living abroad should be the main interest of the government and our group. But undoubtedly the people who have arrived in the East because of repression, the repression from the 1930s, are the ones who need the immediate help on our part the most,” Dworczyk highlighted in an interview for wPolityce.pl. The parliament has already revealed the new line-up for the Contacts with Poles Abroad Committee. Michał Dworczyk (PiS) is the chairman, and his deputies are as follows: Adam Andruszkiewicz (Kukiz’15), Wojciech Ziemniak (PO), Leonard Krasulski (PiS). The chairman assures that issues concerning Poles abroad will be a very important part of the government and parliament work. In the interview for wPolityce.pl he highlights that the new government will principally care for Poles in the East, especially those who came there within the repression during the time of the Soviet occupation. Michał Dworczyk has been involved in helping Poles in the region of former Polish Kresy for years. He visited those lands for the first time along with his squad in the first half of the 1990s. In the course of time his activity area has been constantly increasing: he became a member of the Association of Lovers of Lwów and Southeastern Kresy, the National Council, and then the National Council of “Wspólnota Polska” Association (he cooperated there with Professor A. Stelmachowski and M. Płażyński, the Marshal of the Sejm, among others). After that he became a vice-chairman of Council of the Foundation Aid to Poles in the East. In his activity he primarily focuses on the support of Polish education and media, as well as the cooperation with Polish scouting organisations in the East. 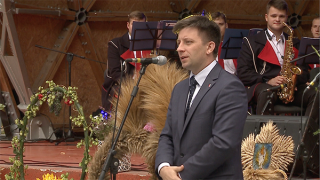 The whole interview of wPolityce.pl: Michał Dworczyk: Our countrymen from the East will be finally able to come back to Poland. Repression victims from the 1930s are the ones who need the most immediate help.